Ground floor 3 bed 2 bath apartment with loads of terrace/garden space!! Enclosed estate, with beautiful communal pool and garden just metres awayfrom your house!! Allocated parking space at entrance of apartment. Steps down to ground floor apartment. Large enclosed garden at front of property(access from one of the bedrooms). Front door leads into very spacious living-dining-kitchen area. American style equipped kitchen, dining area and sitting area. French windows out to very large terrace: loads of room for summer evening dining to enjoy the views. Stairs down to another very large terraced area with store room, and water supply. Sea views from all the terraces. From the living area a hallway leads to the sleeping area. The main bedroom has windows that look onto the rear terrace.Has Fitted wardrobe and Ensuite full bathroom.Back along the corrridoor theres a complete family bathroom with shower. The other 2 bedrooms are also exterior, one having French windows leading out to the front enclosed terrace. 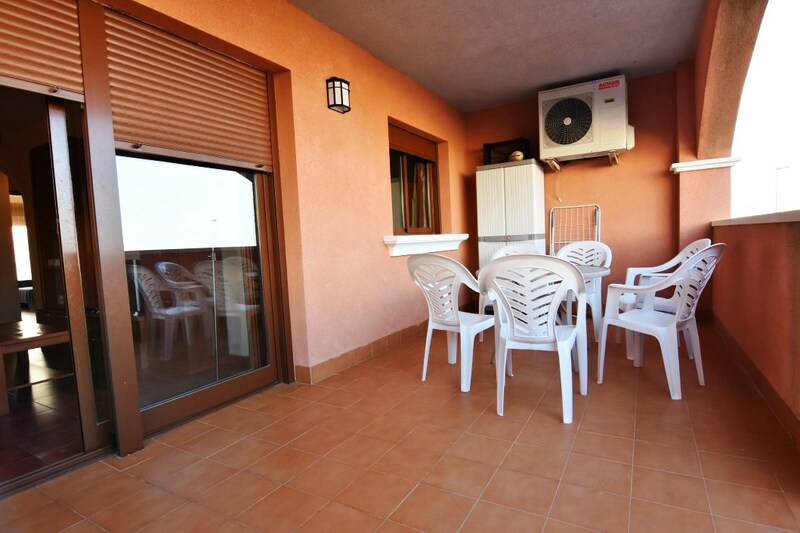 Very spacious property great for holidays for yourself or your future tenants! !